ecorn-cf: lt J?rat? Kasnauskien?, Ph.D., M.D. J?rat? Kasnauskien?, Assoc. Prof., Ph.D., M.D. 2000 (1 week) Training in Molecular Genetics Laboratory, University Children’s Hospital, Heidelberg, Germany. 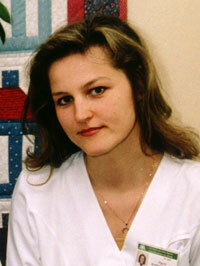 1998 (4 months) Course of Clinical Laboratory Diagnostic, Vilnius University, Vilnius, Lithuania.